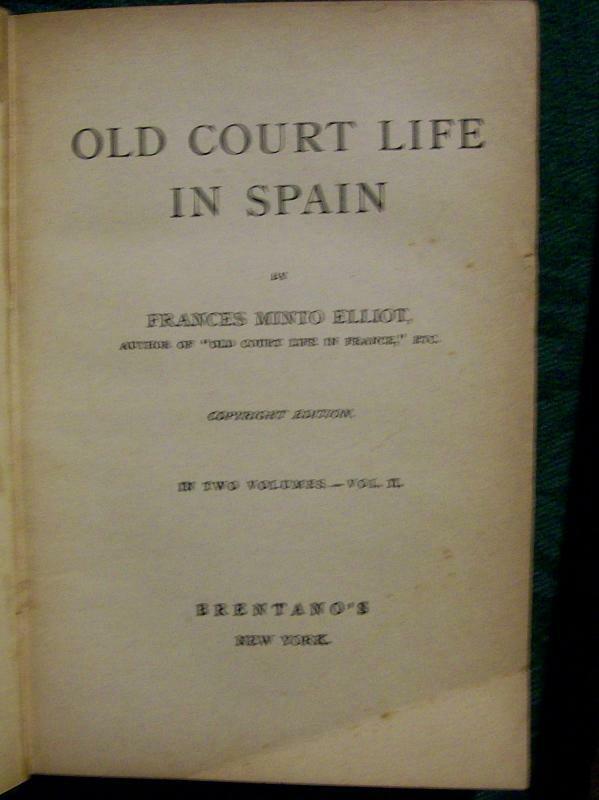 "Old Court Life in Spain" two volume set by Frances Minto Elliot, circa 1893. Dark brown embossed leatherette covers with gold lettering on front and spine. Measure 4 3/8" x 6 3/8" x 5/8". Published by Brentano's of New York. 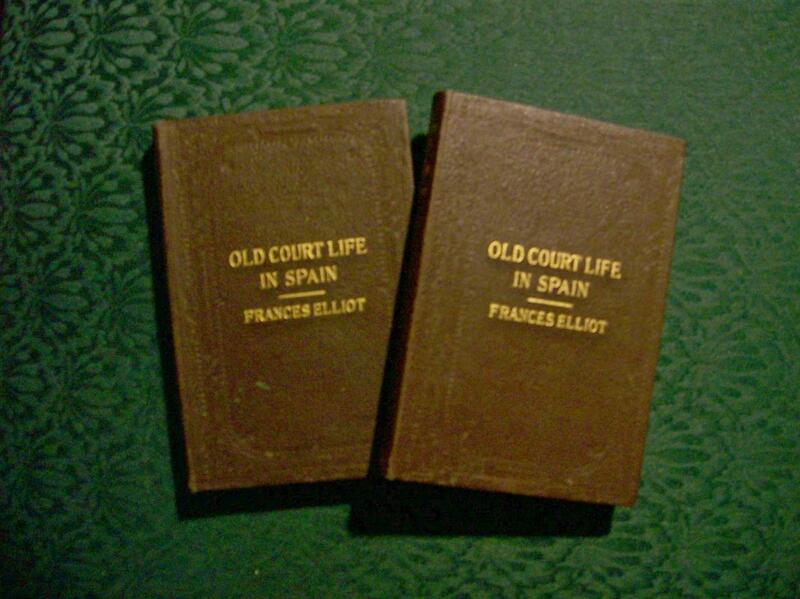 Has a personalized dedication dated 1940 inside front page, both volumes. Very clean and tight, just a few discolorations on the covers. Any questions, please ask. Inglenook Antiques...Established 1989. 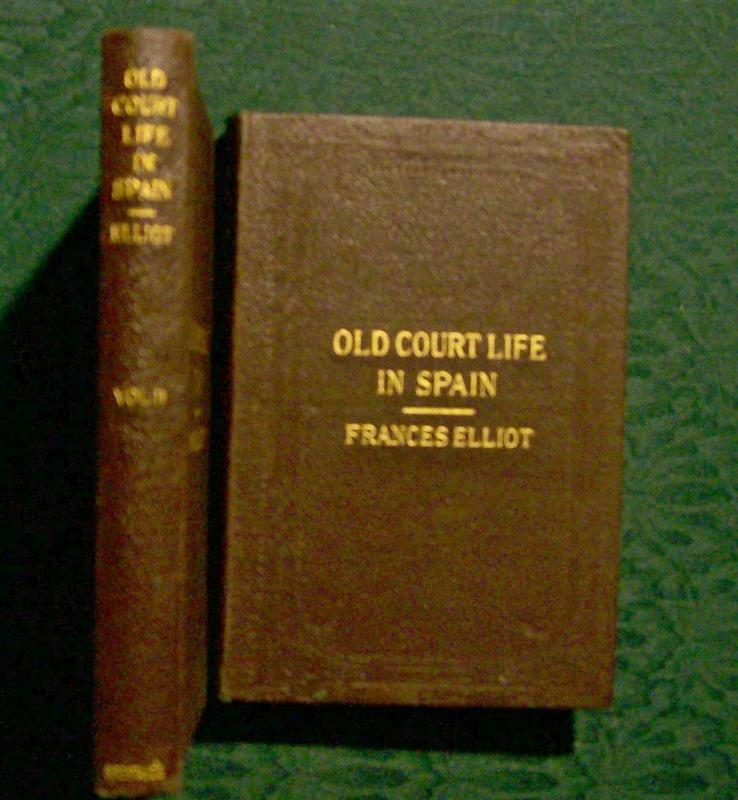 Items Similar To "Books: "Old Court Life in Spain": 2 Volume Set"
The Life of George Washington by Washington Irving volume I, 1857"